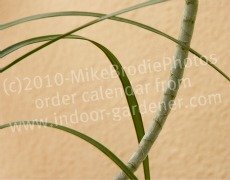 The Spring Garden Calendar for the Indoor Gardener provides information, how-to, and activities for healthy houseplants March thru May. Everywhere you look there are fresh green sprouts poking through the ground, new leaves unfurling, buds opening - the sense of renewal that spring always brings. The same is true for houseplants, if the Indoor Gardener pays attention and takes good care of them. Follow the suggestions of the Indoor Garden Calendar and you'll have happy, healthy plants through the next three months. 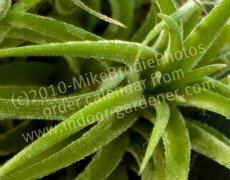 Remember that each month starts about 10 days back in the month before, and the Indoor Garden Calendar is based on the Northern Hemisphere and at least some seasonal climate change. 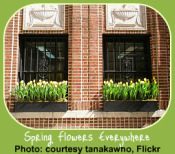 Outdoor and wild plants start their natural growth cycle about now. Your indoor plants will be doing the same. As natural light increases, remember to turn your plants weekly so they grow evenly all around. This is the beginning of the bug season, also, especially spider mites. Keeping plants clean and misted helps keep bugs away. Regular inspection leads to early detection, which, in turn, leads to healthy, bug-free plants. With bugs in mind, mix up your own insecticide or purchase a brand safe to use indoors. 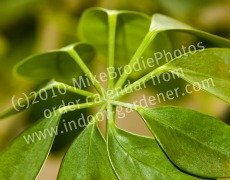 Just as outdoor gardeners are getting busy in the beds around their houses, an Indoor Gardener will be busy with the plants inside. The sun's getting serious about springtime, and pouring stronger rays through your windows for a longer duration of time. 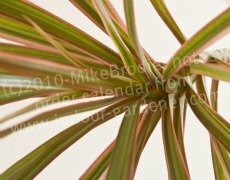 Follow the Indoor Garden Calendar to adjust care and attention accordingly. As the sun changes its angle in the sky, brightens, and stays out longer, reposition your houseplants so they get the right amount of light. Remember to turn them every week or so to encourage balanced growth. Watch for leaf burn on delicate plants, such as lucky bamboo and African violets, and move them out of direct light. While you're busy spring cleaning your house, don't forget the plants. Wipe leaves with a damp cloth or give them a light shower under the sink or shower faucet. Remove dead or dropped leaves and stalks. Check your plants to see if they're root bound. If so, it's time to pot up. Increase fertilization. Spring is growing time for everything green. 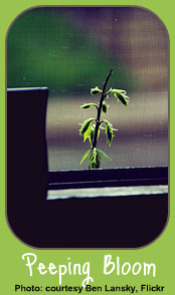 Increase watering: new growth is a thirsty endeavor. Any plants that vacation outdoors during summer months should be slowly introduced to that environment during the day. Listen to weather reports for frost warnings and bring them back indoors at the slightest chance. It's pinch-back time! Be gentle and reassure your green friends it's just like a haircut and will do them good - they'll grow fuller and thicker afterward. Light water spraying - especially if you live in a climate where the air conditioning runs most of the time. This can dry the air - and your plants - as much as heat does during the winter months. Check for root bound plants and pot up as needed. Listen for the rare late frost, but otherwise, you can leave houseplants outdoors for the summer.